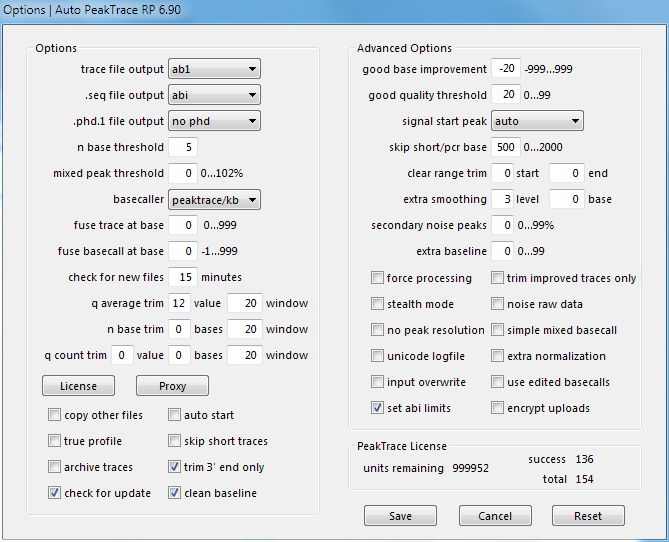 We have released Auto PeakTrace RP 6.90. This is a very large upgrade and a significantly improved version of the PeakTrace Basecaller. We have spent the last 6 months optimising all the algorithms and code focused on improving the read length and appearance of poor quality traces. We will be writing about the many improved features over the coming weeks. The full list of changes includes. New Feature. Support for the ThermoFisher SeqStudio™ Sequencer. New Feature. Fuse trace at base default now 0. 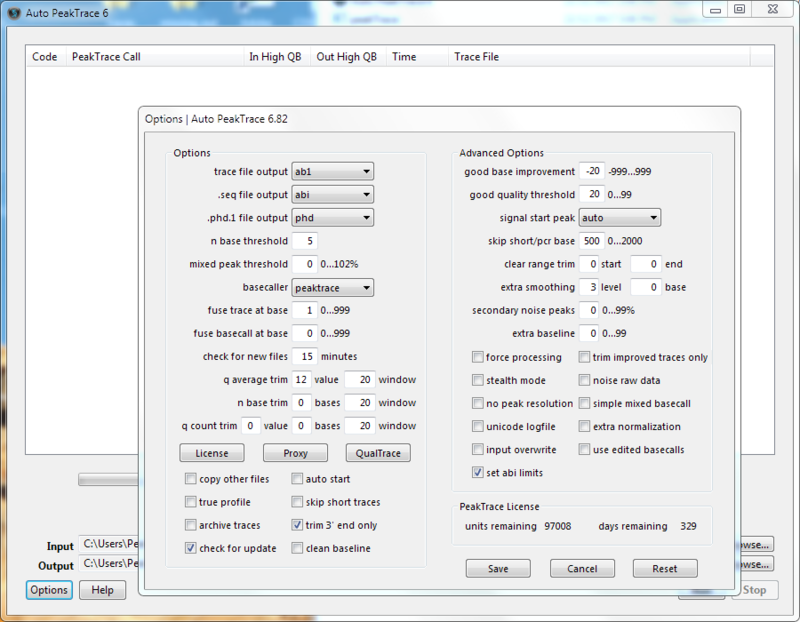 Improved detection and basecalling of PCR product traces. The signal start peak auto now sets the start peak to the value closest to the model expected value. An additional secondary PeakTrace RP server established in China. Bug fix that prevented clear range trim from being applied to the front of the trace. 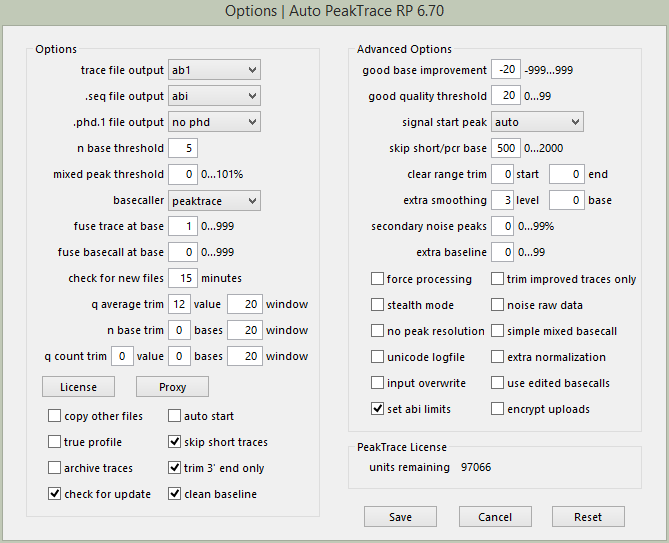 Auto PeakTrace RP 6.90 can be downloaded from the PeakTrace RP Downloads page. If you do not know the password to access the PeakTrace RP Downloads page please contact us or your local supplier for the update. User of older versions should be notified by the automatic update feature. 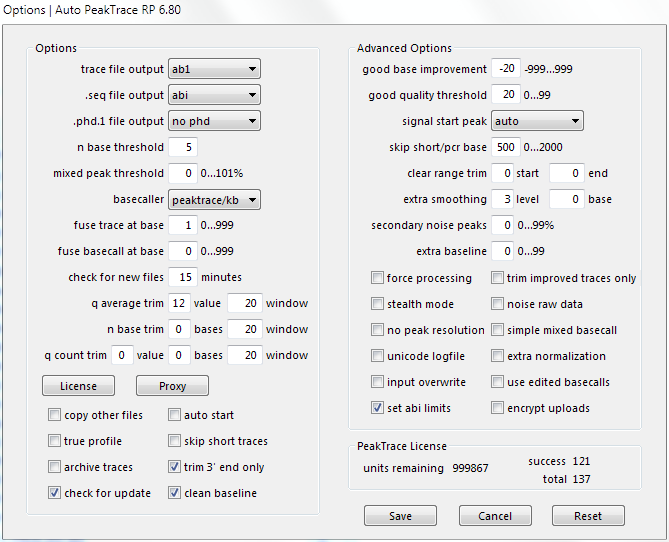 This update is highly recommended for all users of the Auto PeakTrace RP or earlier. 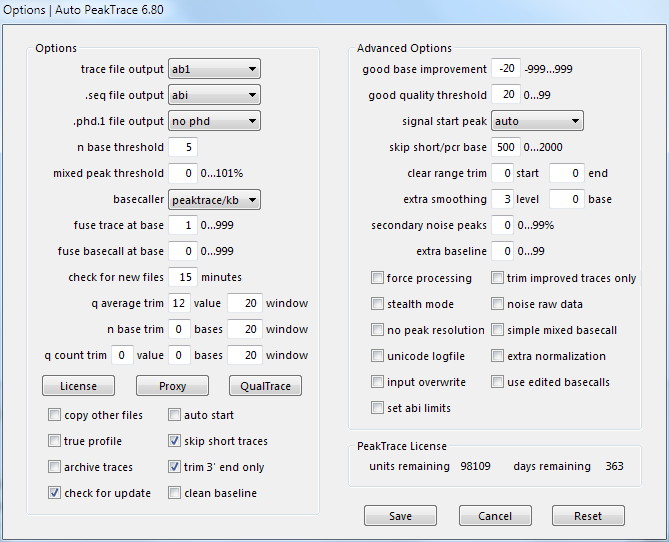 An update for the standalone box versions of PeakTrace will be released in the next few days. New Feature. European located secondary server ensuring data does not leave the EU. New feature. 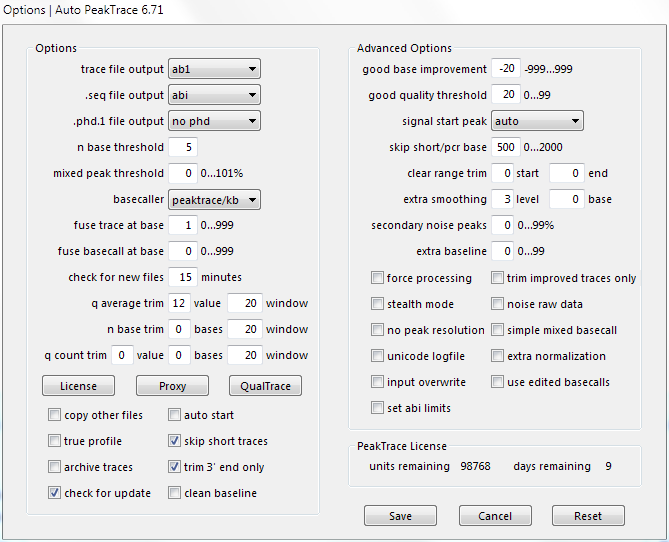 Output both peaktrace processed and no peak resolution traces at the same time. Bug fix that prevented the input and output folders being updated from the Auto PeakTrace RP 6 command line. Bug fix for trace trimming modules. On traces that are not improved, only soft trimming (abi limits) is applied. If the abi/kb basecaller is selected and set abi limit is unchecked then the trace will still be hard trimmed. 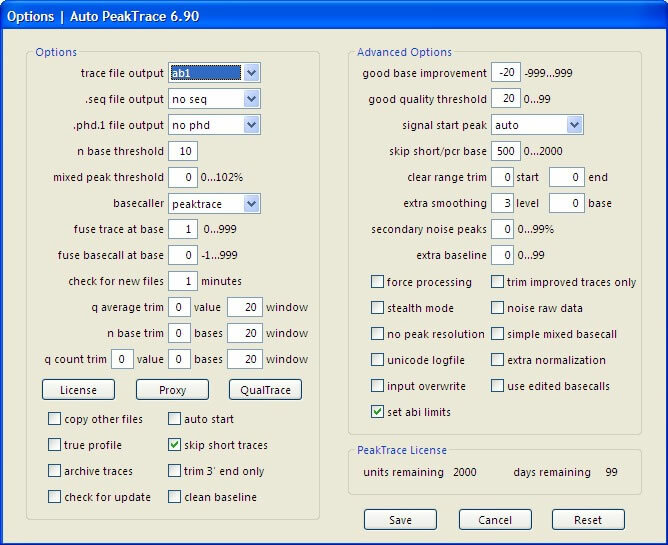 Version, build date are accessible from the Auto PeakTrace RP 6 command line. Errors and processing progress when using Auto PeakTrace RP 6 from the command line are now output to the command line window. 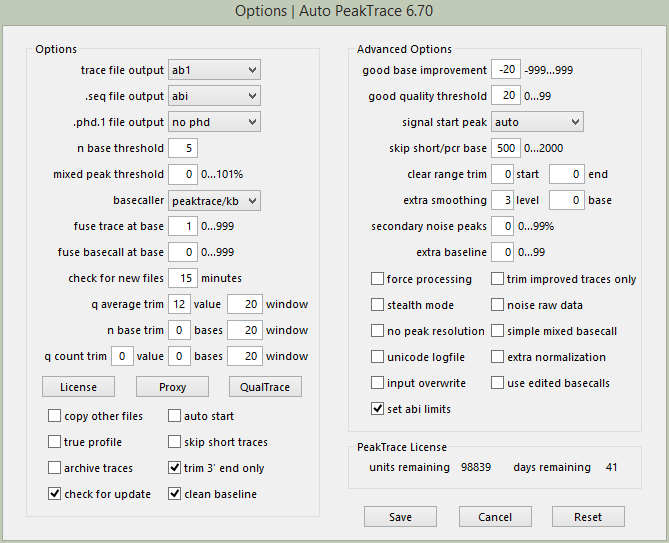 Auto PeakTrace RP 6.82 for Windows and (MacOS X will be released later) and can be downloaded from the PeakTrace RP downloads page. 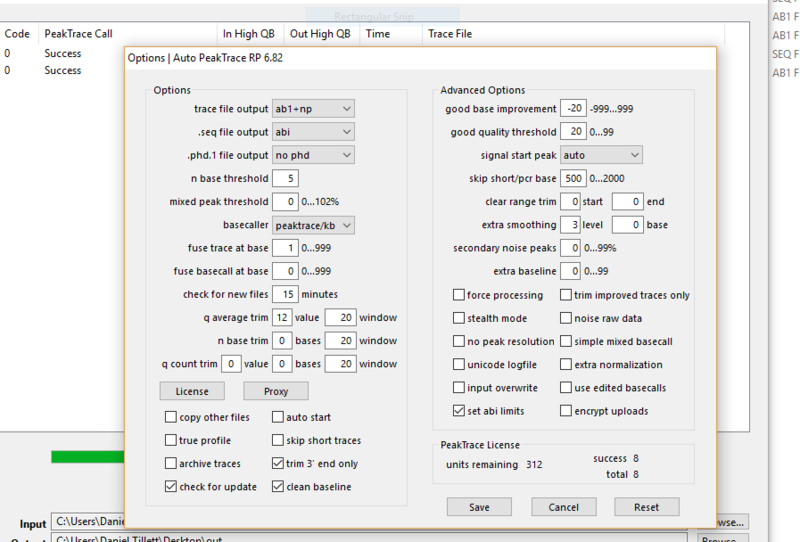 This release is also be available soon via the automatic update feature within Auto PeakTrace RP if you are using a recent version of Auto PeakTrace RP. We will be releasing an update for the PeakTrace:Box version in the next few days.